Microsoft recently released its very first Windows 10 Redstone build for Windows 10 Preview. But the build is just called “Redstone,” as it doesn’t bring any innovative features. It actually just fixes a few bugs, but it also brings some bugs of its own. 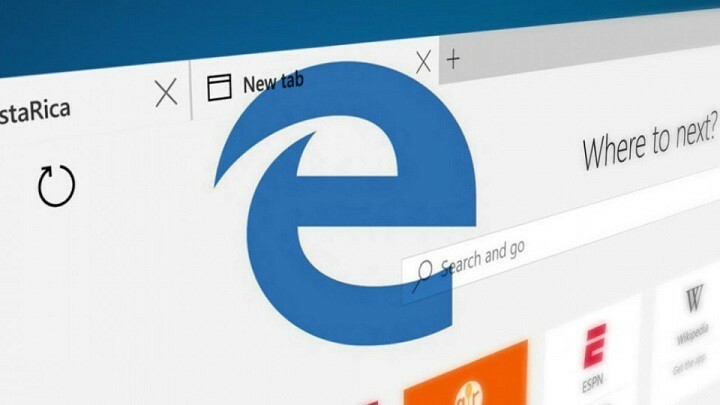 One of the most recent bugs users reported that came with Windows 10 Build 11082 is the problem with Windows 10’s default browser, Microsoft Edge. Namely, when try to load a certain webpage, some users receive a connection error. Besides connection errors, Edge also occasionally freezes and crashes (here’s a previous story on how to fix it and another one with suggestions for a slow Microsoft Edge). When the browser freezes, you’re unable to close it, so you’ll have to do it from Task Manager. “I’m getting multiple crashes daily with this latest build. Web pages take a very long time to load, sometimes never fully loading. When scrolling, the bottom of the pages never show up. Then I get the busy revolving circle thing showing that Edge has frozen; the page lightens up, then reloads – crash,” one insider explained in a post on the company’s Community forums. Apparently some features of the new Windows 10 Preview build conflict with Microsoft Edge, therefore the browser doesn’t perform well, and causes various issues to users. But we’re not so surprised this happened, because this is the earlies version of Windows 10 Redstone, and various errors and incompatibilities are common in Windows 10 Preview. So if you’re not using Windows 10 Preview just for testing and helping Microsoft to develop as good operating system as possible, through Windows 10 Feedback, you should switch to the ‘regular’ version of the system, because every new build for Insider Program brings some of its own issues. Microsoft warned you about that even before the system was released, and it remains to be the case even now. Microsoft was often criticized because its new web browser, Microsoft Edge lacks some features that third-party browsers have. The company promised that future updates for Windows 10 and Microsoft Edge will bring some additional features to Internet Explorer’s successor, but we don’t know much about it, yet. However, we do know that Microsoft maybe prepares the support third-party addons for Edge browser, which indicates that new features are on their way. You don’t have to worry about this issue a lot, because it is, we can say, a bigger issue, and Microsoft won’t allow it to appear in the final product, so the solution should come soon.